This is a simple pea shooter device to make next time you and your kids are tucking into Wagamama noodles. Also it probably isn’t the greatest way to impress friends, but their kids will love it. 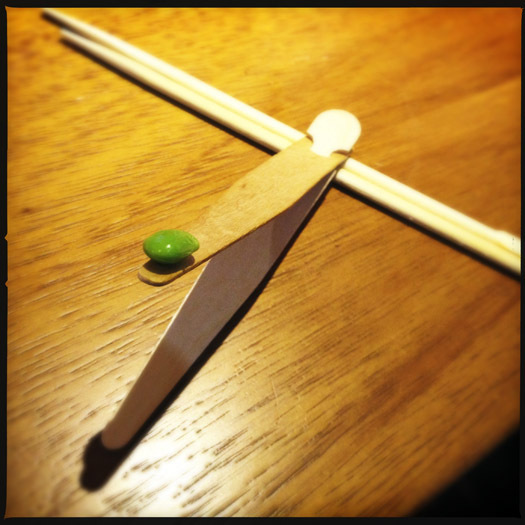 Balance the bean on the end of the kids chop sticks and stabalise the chop sticks on the normal chop sticks. Push down the end and let fly! Additional ideas: keep the chop sticks to use on a picnic with normal peas that you have just shelled.